this weekend, we will be hitting the road and driving down to north carolina. ryan's brother and sister-in-law live in raleigh, and they are having their baby shower on sunday. 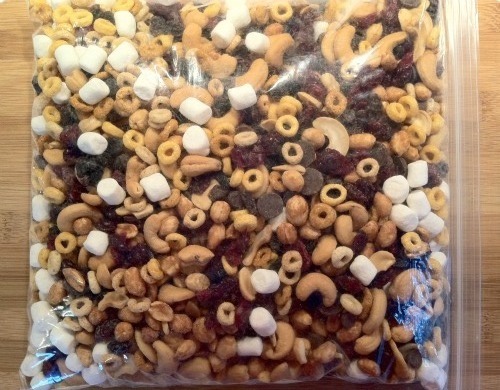 since we will be in the car forever (11-12 hours each way) i decided to make some trail mix to munch on during the drive down and back. 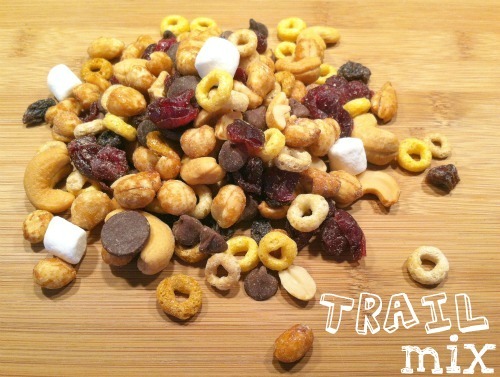 trail mix is so simple to make and it is the perfect road trip snack! 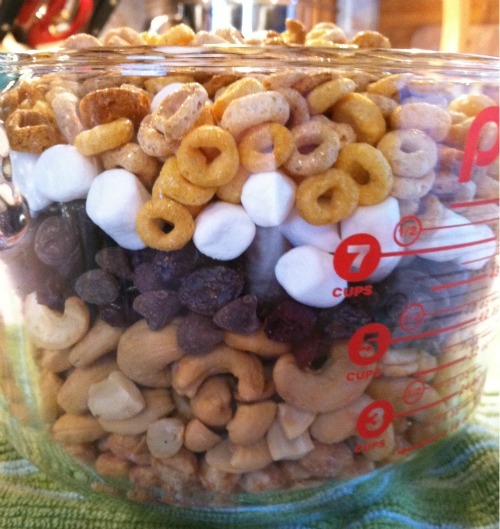 combine all ingredients together in a resealable bag. shake well.